Cannon County will battle Harpeth High this coming Friday in the opening round of the TSSAA State Football Playoffs. Following are some facts and statistics about the school and its football team, and how they match up against the Lions. The game will be played at Cannon County High School. Kickoff is at 7 p.m. Tickets are $8. Harpeth is ranked No. 181 in the state by Maxpreps.com. Cannon County is ranked 159. Harpeth scored 244 points this year while allowing 197. Cannon County has put 224 points on the board while giving up 169. Harpeth finished second in the district standings to the Lions of Camden Central, ranked 57th in the state. The Lions of Cannon County won their first District 8-AA title since 1978. Harpeth has put a lot of points on the scoreboard in a number of games this season. 56 against Hickman Co., 35 against both Waverly Central and Cheatham Co. and 49 against Montgomery Central. After opening with a win, the Indians lost their next four games before winning four of their last five. Cannon County started 1-3 but won five of its last six. Harpeth finished the regular season 5-5 overall, 4-2 in District 11. Cannon County is 6-4 overall and went 4-1 in district play. Harpeth is located about 75 miles from Woodbury and is about 20 west of Nashville. Harpeth not been to the playoffs since 2003. Cannon County has not been to the playoffs since 1995. Harpeth had five of its regular season opponents make the playoffs: Camden Central, East Robertson, Creek Wood, Fairview, Stewart County. Eight of Cannon County's 10 regular season opponents reached the playoffs: Smith County, DeKalb County, York Institute, Livingston Academy, Spring Hill, Donaldson Christian Academy, Middle Tennessee Christian and Scott County. 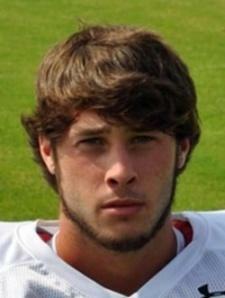 Harpeth wide receiver Perry Horkins was a Class 3A Preseason All State Selection by Murphy Fair Magazine. Horkins, who is the primary receiver for quarterback Jeremy Roark, ranks second all time in TSSAA history with 33 career receiving touchdowns. Going into the final game of the regular season, Horkins needed 24 more receiving yards to move into the top three of the TSSAA all time career receiving yard category.